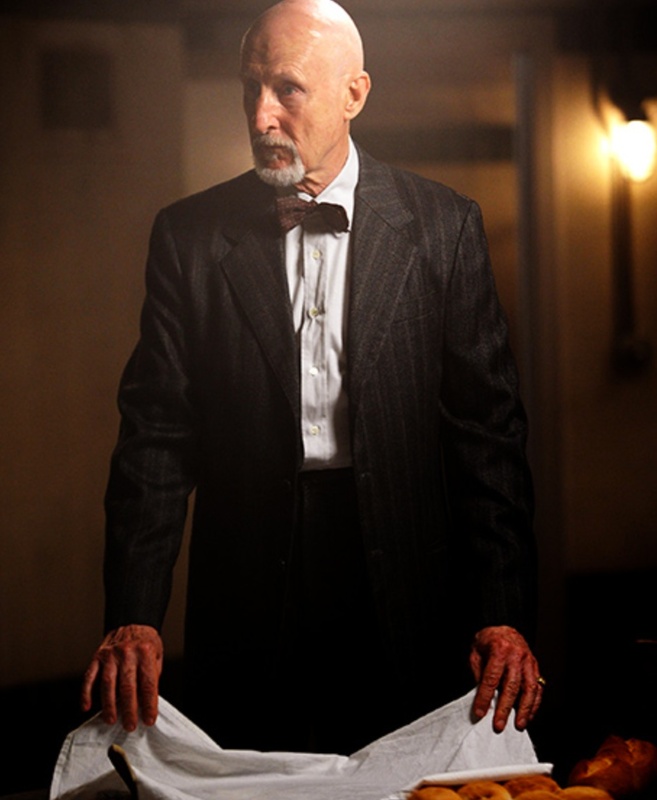 Sitting here waiting for this week's American Horror Story...and praying I can stomach it! 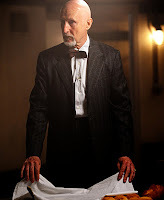 That friggin Nazi doctor (aka James Cromwell) is so scary, I don't know what to do with myself. Did you SEE what he did to Chloe Sevigny's legs? Holy CRAP - I want to run screaming from my television every time he's on! OK so wait...the journalist (notice I know NO ONE'S name this season?) - oh my god...what they made her do with Zachary Quinto? I felt SO BAD for her...although the dude they brought in to "stand there" was pretty hot. I was like "Oh forget it - if he doesn't do it for her...no one will." I JUST remembered we lost power last Wednesday and missed the last five minutes...UGH! So I have no idea what happened! Wait...wait...I think my neighbor told us Evan Peters wasn't mad that his new girly friend killed her family...because she said her dad was abusing her. Am I right on that? So what happens now?! She gets pissed at him and kills him too? Worse yet, sends him to Dr. Nazi? And HELLO...they need to give Jessica some down and dirty nunning to do this week. Is it me or is she totally under-utilized on this show??? C'mon FX! Let's hear that scary-assed Massachusetts accent "Don'ttttt tawlk to me about Go-wad!" OK - gotta go! Get ready y'all!